The slopes'll shutter soon, so grab those board and poles, winter-loving adventurers. When you first heard that Mammoth Mountain planned on pushing into August, as far as keeping the slopes open to skiers and snowboarders, you likely had a notion that the final day, whatever day that happened to be, would fall at the close of a weekend, a time when temporary fun things often end their runs. And, after experiencing these warm, July-classic temperatures, you might have also guessed that the August slopes would close sooner than later, maybe even on the first Sunday. If that was your hunch, know you're quite the future-predictor, for Mammoth Mountain announced on Tuesday, July 25 that the epic, so rad, megaly mega 2016-2017 ski season will take its final schuss on Sunday, Aug. 6. This means that, as of July 25, you have two more weekends for getting some mountain time in, a true temptation once you realize you'll need to wait for Nov. 9, the 2017-2018 opening date for the Sierra Nevada winter haven. Is this the longest season ever for the mountain? It is, surprisingly, not: The 1994-1995 ski stretch ended on Aug. 13, and the opening was earlier, too, on Oct. 8, 1994. But 2016-2017 is a stand-out on the record books, the second longest ski season ever for Mammoth Mountain, and it is crowned as the longest ski season in the state for this season. 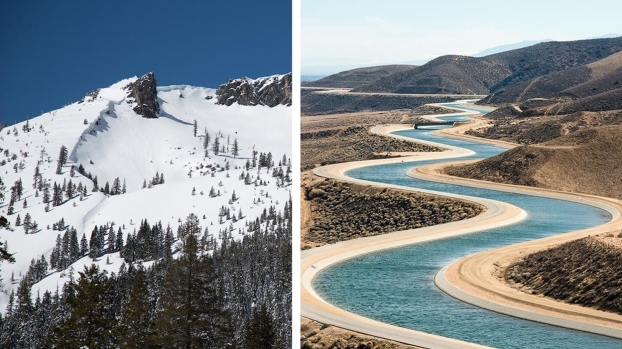 Mammoth's ability to ski on into the hottest time of year is surely thanks to the 800+ inches that fell at the Summit last winter, and the 618 inches that landed at Main Lodge. Wowee; those numbers will never not be impressive. Once the skiing and boarding bids bye to the mountain, though, Mammoth is still open, with places such as the Bike Park doing humming summertime business. As for how many days you'll need to wait for Mammoth's re-opening? You can pull out a calendar and count to Nov. 9, day by day, or you can just read the following number: 107 days, meaning, when Aug. 6 arrives, the slopes'll be closed for less than 100 days before people return to enjoy their snowy pleasures.